Home Business LADOL – Friend or Foe to Foreign Business? LADOL – Friend or Foe to Foreign Business? However, LADOL has recently shown a trend towards hostility, conflict and litigation with international businesses operating in the LADOL free-zone. It has terminated the operating licences of at least two foreign investors with significant investments in the zone – Africoat and Samsung Heavy Industries (Nigeria) (SHIN). Over the past years, both have brought considerable investment, training, employment and transfer of technology to the local Nigerian workforce. Contrary to Vision–As indicated on its website, LADOL’s vision since inception was to provide the “first purpose-built, state-of-the art logistics and engineering base west of the Niger Delta.” The industrial free-zone’s core mission was to develop a 100 per cent Nigerian owned operation, to attract international companies and to encourage them to manufacture in Nigeria. The project was vital to the Nigerian economy – it promised to bring foreign investment into the country, provide jobs and training to local communities and unlock the country’s vast oil wealth. Africoat was one such company that set up in the free-zone to take advantage of an attractive regulatory regime and manufacturing conditions within the free zone area. Africoat specialises in pipe coating and logistics and operated out of the LADOL free-zone for several years before LADOL terminated its operating licence. In November 2018 it was announced that Africoat had been evicted from the LADOL free-zone, in part due to alleged outstanding debts. LADOL also accused Africoat of breaching free-zone regulations – LFZ Regulations, including financial reporting obligations. Africoat protested its innocence. 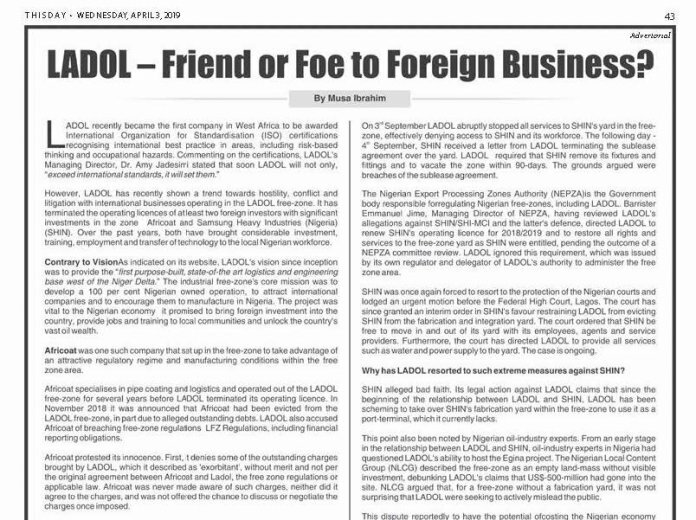 First, it denies some of the outstanding charges brought by LADOL, which it described as ‘exorbitant’, without merit and not per the original agreement between Africoat and Ladol, the free zone regulations or applicable law. Africoat was never made aware of such charges, neither did it agree to the charges, and was not offered the chance to discuss or negotiate the charges once imposed. Importantly, Africoat also claimed it was never made aware by LADOL or GRML, the free-zone administrator, of the breach of LFZ regulations prior to termination. The services agreement between LADOL and Africoat made no mention of the regulations and its impact on the agreed rates between the parties. Several reporting cycles passed without Africoat being made aware that it was in supposed breach of the regulations. Eventually, the Honourable Minister for State for Industry, Tourism and Investment was obliged to intervene to settle the dispute. Africoat’s operating licence has been renewed but not without a considerable loss of trust between Africoat and LADOL. Samsung Heavy Industries (Nigeria) – In 2013, SHIN was awarded the contract by Total Upstream Nigeria Ltd for the fabrication and installation of a US$3.3-billion Floating Production Storage Offloading platform destined for the Egina oilfield. SHIN set a record for local content development, fabricating six out of the eighteen modules in Nigeria using Nigerian work-force. SHIN also shared the work with other Nigerian yards to complete the project, including Nigerdock and Aveon, all adding to the US$1.9-billion in-country spend. SHIN and LADOL set up a free-zone joint venture in order to construct a state of art facility and quay wall to do certain in country fabrication and integration of topsides on the Egina FPSO. This joint venture entity (SHI-MCI Free Zone Enterprise) was granted an operating licence to operate in the LADOL free-zone. The partnership promised to be a success and beneficial for all, including Nigeria. However, in April 2018 LADOL made a demand for 1% of the total Egina FPSO contract price as a “FOB Charge”, which is a purported tax – US$33-million. SHIN challenged this request for tax payment as unlawful, bad-faith and contrary to the tax, charges and levies exemption offered by the free-zone in accordance with applicable law. In addition, SHIN was of the view that such a charge, levy or tax should only be payable directly into the Government Treasury Single Account as directed by the President of the Federal Republic of Nigeria and not into LADOL’s personal account. LADOL retaliated by suspending SHIN’s operating licence. This threatened timely delivery of the Egina FPSO and forced SHIN to commence legal proceedings in July 2018 in the Federal High Court, Lagos. The tax was ultimately paid by Total to guarantee delivery of the Egina FPSO. However, as soon as the tax issue was settled by Total, LADOL argued further reasons not to renew SHIN’s operating licence, citing alleged outstanding payments and non-compliance with Nigerian law. On 3rd September LADOL abruptly stopped all services to SHIN’s yard in the free-zone, effectively denying access to SHIN and its workforce. The following day – 4th September, SHIN received a letter from LADOL terminating the sublease agreement over the yard. LADOL required that SHIN remove its fixtures and fittings and to vacate the zone within 90-days. The grounds argued were breaches of the sublease agreement. The Nigerian Export Processing Zones Authority (NEPZA)is the Government body responsible for regulating Nigerian free-zones, including LADOL. Barrister Emmanuel Jime, Managing Director of NEPZA, having reviewed LADOL’s allegations against SHIN/SHI-MCI and the latter’s defence, directed LADOL to renew SHIN’s operating licence for 2018/2019 and to restore all rights and services to the free-zone yard as SHIN were entitled, pending the outcome of a NEPZA committee review. LADOL ignored this requirement, which was issued by its own regulator and delegator of LADOL’s authority to administer the free zone area. 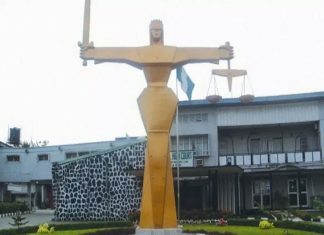 SHIN was once again forced to resort to the protection of the Nigerian courts and lodged an urgent motion before the Federal High Court, Lagos. The court has since granted an interim order in SHIN’s favour restraining LADOL from evicting SHIN from the fabrication and integration yard. The court ordered that SHIN be free to move in and out of its yard with its employees, agents and service providers. Furthermore, the court has directed LADOL to provide all services such as water and power supply to the yard. The case is ongoing. Why has LADOL resorted to such extreme measures against SHIN? SHIN alleged bad faith. Its legal action against LADOL claims that since the beginning of the relationship between LADOL and SHIN, LADOL has been scheming to take over SHIN’s fabrication yard within the free-zone to use it as a port-terminal, which it currently lacks. 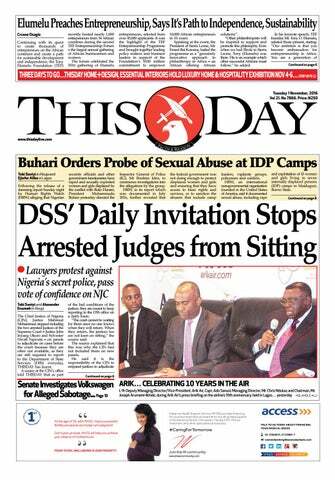 This point also been noted by Nigerian oil-industry experts. From an early stage in the relationship between LADOL and SHIN, oil-industry experts in Nigeria had questioned LADOL’s ability to host the Egina project. The Nigerian Local Content Group (NLCG) described the free-zone as an empty land-mass without visible investment, debunking LADOL’s claims that US$-500-million had gone into the site. NLCG argued that, for a free-zone without a fabrication yard, it was not surprising that LADOL were seeking to actively mislead the public. 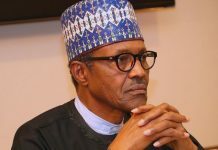 This dispute reportedly to have the potential ofcosting the Nigerian economy approximately US$15-million a day in lost oil production. This is inconsistent with LADOL’s mission of attracting international investment to benefit the Nigerian economy. Africoat and SHIN have demonstrated a commitment to Nigeria that should be respected. SHIN has created over 2,000 jobsand opened opportunities for Nigerians at management level. It has also set up a welders training facility where it has trained almost 600-welders at its purpose-built Technology Training Centre up to international standards. In 2016, it gave a grant of $2.7 million to LADOL to develop a Santa training facility. To-date LADOL has not utilised the funds to develop the facility. As part of its corporate social responsibility, since 2015, Samsung has worked with Vision Care in the annual Eye camp to give free cataract surgeries to patients at risk of blindness. Overall, the fabrication of six of the modules locally was a testament to the potential discovered locally and the collaboration between SHIN, Total, Government departments and local businesses. The EginaFPSO was the largest ship to ever sail out of an African port and was the product of teamwork and collaboration. What next for LADOL? – LADOL must operate on the global stage to fulfil its mission of encouraging international businesses to manufacture and invest in the free-zone. As Dr. Jadesimi noted, LADOL must exceed international standards. However, LADOL is sadly developing a reputation for hostility towards international business. Worse still, international business will not invest in the free-zone if there are lingering concerns that LADOL will move to seize their assets. LADOL is now at a junction– it will either go the way of graft and short-term gain, or it will engage properly, fairly and transparently with its international partners for its own long-term benefit, and the benefit of all Nigerians. 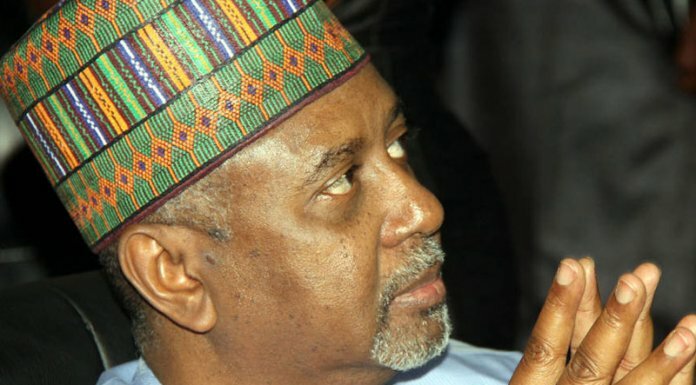 Nigeria should hope that these opportunities are not squandered needlessly.